“Of all the bands exploring shoegaze in Seattle, Guest Directors are perhaps the best at getting the balance of mood and power right.” -Nada Mucho Guest Directors’ spooky and soulful music evokes images of evergreen silhouettes, dreamy breezes, and the power of seemingly perpetual precipitation. 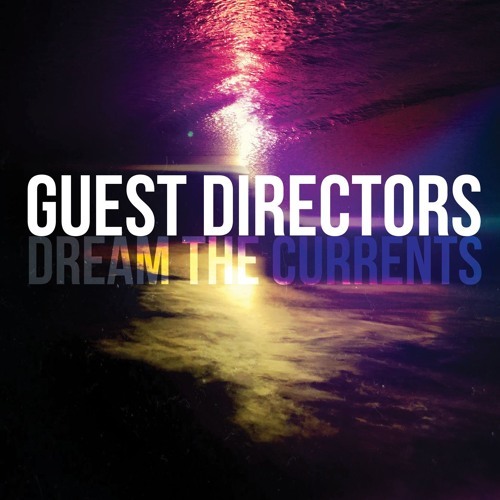 Their third EP, “Dream the Currents,” is the next step in what has amounted to an annual progression of EPs demonstrating harmonic, rhythmic, and stylistic explorations that hover around a familiar sonic center. These five songs span from Teenage Fanclub-like jangle, the reverb-drenched pop of The Cure, to some unexpected turns in the spirit of bands like Autolux. More shoegaze-adjacent than stalwart standard- bearers of the genre, Guest Directors' confident chemistry and ambitious spirit eschew typical routes in favor of new paths. Their kaleidoscopic instrumentation is comprised of delightfully tangled Jazzmasters and moody vocals, as well as volatile drumming and propulsive bass work. The group has mastered its musical surveillance, recognizing each bit of sonic space as an opportunity for attention, examination, and artful refinement. Collaborative songwriting unveils surprises, especially on key tracks "Parachute On" and "Minor Mendings”.